CyberKnife is different from other types of radiation. This treatment, also called Stereotactic Body Radiation Therapy (SBRT), is administered in high daily doses and a full course of therapy is completed in a relatively short period of time. Ten years ago, we initiated two separate clinical trials in men with Low-Risk to Intermediate-Risk prostate cancer throughout 38 CyberKnife centers across the country. These two studies are the first large, prospective, multi-institutional trials confirming the effectiveness of SBRT for localized prostate cancer. Freestanding centers and academic hospitals were included in the study, providing a cross-section of clinical settings from coast to coast. Historically, much of the research into using radiation (such as IMRT) for prostate cancer has been focused on using much longer courses of radiation therapy. IMRT is a “conventionally fractionated” treatment, which typically involves 20-48 sessions over a period of four to ten weeks. The rationale for this “go slow” approach was to limit toxicity while still achieving a high cumulative dose of radiation, one sufficient to eradicate the cancer. By delivering small daily doses, the healthy tissue surrounding the targeted prostate that might be irradiated in the process is afforded time to repair itself between treatments. Brachytherapy (radioactive seeds) comes in two forms. High Dose Rate (HDR) Brachytherapy involves inserting a powerful focal radiation source through hollow catheters temporarily placed into the prostate. Low Dose Rate (LDR) brachytherapy involves permanently inserting 40-180 radioactive seeds into the prostate. Both procedures have been in use for decades. Long experience with brachytherapy has confirmed that radiation administered in a limited number of sessions is both safe and effective. In fact, studies show deeper drops in PSA after brachytherapy treatment compared with external beam radiotherapy, suggesting a more potent anticancer effect. Studies of HDR brachytherapy confirm excellent outcomes, presumably because of the higher, individual doses of radiation. Thus, the success achieved with HDR provides a clinical rationale for testing SBRT, which also delivers radiation in high individual doses. The CyberKnife System was FDA approved to treat prostate cancer in 2001 and represents an improvement in the delivery of precision external beam radiation. The CyberKnife System incorporates a linear accelerator (the part of the machine that accelerates electrons to make photon radiation) mounted on a robotic arm that uses image guidance and high-speed computers to adjust the beam in real time with extreme precision, continuously correcting for patient and tumor motion. Stanford University was the first institution in the United States to use and study CyberKnife for the treatment of localized prostate cancer. The 38 CyberKnife centers participating in our study built on this foundation, using enhanced radiation treatment dose patterns to maximize cancer ablation while minimizing doses to healthy surrounding tissues. SBRT has potential advantages over IMRT or Seeds. Compared to IMRT, far fewer doctor visits are required. Compared to seed radiation, the need for a hospital stay or general anesthesia is avoided. In the first of our two studies, the one based out of San Diego, our CyberKnife protocol was to deliver the entire course of the radiation in four visits. The dose distribution was designed to emulate the success previously demonstrated with HDR brachytherapy. As with HDR brachytherapy, the technique was designed to deliver much more radiation to the peripheral zone of the prostate, while giving relatively much less radiation centrally to spare the urethra. (NOTE: Prostate cancer is typically located in the periphery of the prostate and is much less likely to involve the central area around the urethra). Our goal was to achieve cure rates similar to HDR non-invasively. In the second of our two studies, the one based in Seattle, treatment followed after the early work done at Stanford. The entire radiation dose was administered in five visits. A three to five millimeter margin of radiation was administered around the outside edge of the prostate to eradicate any microscopic cancer that could reside just outside the gland. A brachytherapy-like dose of radiation was administered to the gland itself, achieving much higher doses of radiation than is feasible with other external beam techniques. The primary objectives of these two studies are to determine if much shorter courses of radiation yields comparable, or perhaps even better results than what was historically achieved with conventional methods. Clinically, we sought to measure the incidence of PSA relapse and the rates of acute and late urinary and bowel toxicities following treatment. Data was collected from 38 centers which have treated a total of 568 patients – 284 with Low-Risk and 284 with Intermediate-Risk prostate cancer. In the four-fraction trial, PSA relapse-free survival rates for Low-Risk prostate cancer patients were 100%, and 88.5% for Intermediate-Risk patients five years after therapy and have been maintained at seven years. Patients experienced sharp declines in PSA. The median PSA for all patients after five years was 0.1 ng/mL, with further decrease to 0.035 ng/mL in the patients who reached the seven-year follow-up milestone. That trend bodes well for the patients in our study concerning long term survival, ranking among the lowest PSA levels (PSA nadirs) ever reported after any other radiation therapy technique, without the use of any added androgen hormone therapy in this study. The lower the PSA nadir value and the longer it continues to decline, the greater the patient’s likelihood of achieving a cure.¹ Overall, the patients experienced low toxicity rates and these results were achieved without invasive rectal balloons or spacers to spare the rectal wall. In the five-fraction trial, the five-year PSA relapse-free survival for 172 Low-Risk patients was 97.3% and 97.1% for 137 Intermediate-Risk patients. As was the case for the four-fraction trial, the five-year median PSA was 0.1 ng/mL for all 309 patients. Quality-of-life outcomes were carefully measured and urinary and bowel changes following treatment were temporary, with quality of life then returning to baseline. After more than five years of follow-up, serious side effects occurred in only 1.3% of patients, an incidence that compares very favor-ably to other radiotherapy techniques. These studies confirm that SBRT, completed in either four or five treatment visits results in similar favorable outcomes. Recently, in May of this year, the American Urological Association, the American Society for Radiation Oncology, and the Society of Urologic Oncology released a guideline for clinically localized prostate cancer, which included SBRT for men with Low- and the favorable subtype of Intermediate-Risk disease (NOTE: Both of these trials treated favorable and unfavorable intermediate-risk disease, successfully; Not limited to just “low-intermediate” risk disease). To see a listing of CyberKnife centers who participated in these studies, visit www.clinicaltrials. gov and query 00643994 for the five fraction study and 00643617 for the four fraction study. To find a CyberKnife center near you, visit http://www.accuray. com/treatment-centers. Donald B. Fuller, MD is a radiation oncologist with Genesis Healthcare Partners in San Diego, California. 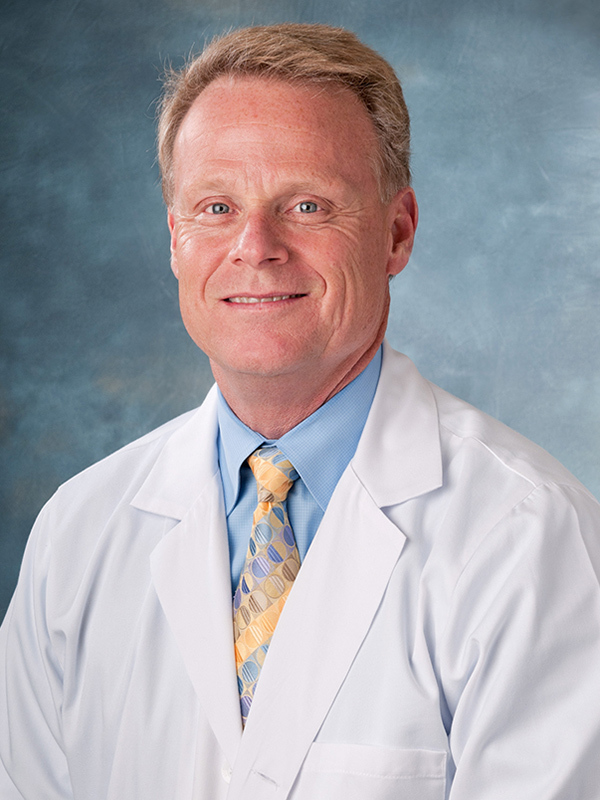 His specialties include prostate cancer radiotherapy, prostate SBRT, and radiation dose escalation for a variety of malignancies through the appropriate application of intensity modulated radiotherapy (IMRT) and stereotactic (SBRT) techniques. He is the national principal investigator of a multi-institutional, prostate CyberKnife clinical trial: PROSPECTIVE EVALUATION OF CYBERKNIFE STEREOTACTIC RADIOSURGERY FOR LOW AND INTERMEDIATE RISK PROSTATE CANCER: EMULATING HDR BRACHYTHERAPY DOSIMETRY. He has also published an original CT-ultrasound fusion prostate brachytherapy technique in peer reviewed literature, as well as original manuscripts in the areas of lung cancer, pediatric cancer, sarcoma, and gynecologic oncology. Robert Meier, MD is a radiation oncologist at Swedish Cancer Institute and the Medical Director of Swedish Radio-surgery Center in Seattle. He is an internationally recognized expert in stereotactic radiotherapy. He has lectured extensively and has published numerous articles on stereotactic radiotherapy and on SBRT for prostate cancer. He gained an appreciation for research and academic medicine as Clinical Assistant Professor at Stanford University Department of Radiation Oncology, while practicing at the Palo Alto Medical Foundation. 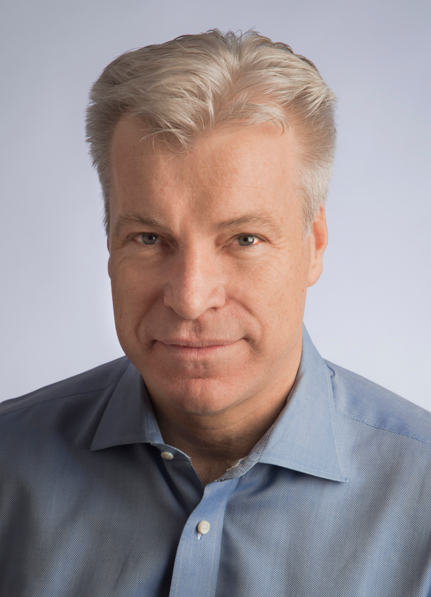 Dr. Meier moved his practice to Seattle to work with the pioneers of prostate brachytherapy at the Swedish Cancer Institute, and became an expert in prostate seed implants. He also gained expertise in Gamma Knife radio-surgery, and went on to co-found the Swedish Radio-surgery Center. Recognizing that CyberKnife offered the advantages of brachytherapy with the potential for less toxicity, he began his pioneering work in prostate stereotactic body radiotherapy (SBRT). Dr. Meier wrote the benchmark protocol for dose-escalated treatment, and is the Principle Investigator on the first national multi-institutional study of CyberKnife for prostate cancer.